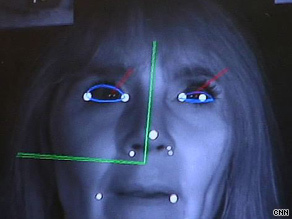 Using enhanced biometrics to detect intent? The Department of Homeland Security is funding a project called Future Attribute Screening Technology, or FAST. 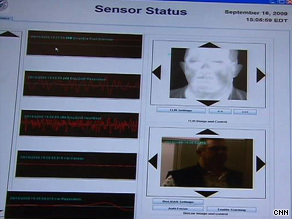 The idea is that sensors and cameras located at security checkpoints would measure the natural physiological signals coming from your body — your heart rate, breathing, eye movement, body temperature and fidgeting. Researchers believe the culmination of which would indicate you have the desire to or intend to do harm. The CNN article goes on to state that these systems would eventually be deployed in stadiums and convention centers. The problem I can see here is that a system bent on detecting all the signs of what amounts to nothing more than stress will come up with a lot of false positives. Wading through idiot crowds to get into a stadium or convention center is already stressful enough, then couple that with an overly cumbersome security screening process designed to detect stressed out people which will undoubtedly be operated by stadium workers untrained in any kind of real security risk assessment techniques… I guarantee the machine will be the one and only authority on who is and isn’t allowed in to see the event they paid good money to see. That in itself could be cause for some violence. The other thing that bothers me about this is, I feel like this is simply the next expensive step in propping up the illusion of security we so desperately cling to. People who climb on to airplanes and crash them into buildings or blow them up with bombs they packed in their suitcases are not going to be the ones these high tech lie detectors are going to catch. Those people aren’t the kind who get fidgety when it comes to getting past security checkpoints. They are resolute in what they are about to do, and like any cold blooded killer who is so detached they truly believe their own lies, they will walk right through the checkpoint while Grandma “Nervous Nelly” gets thrown to the ground and cavity searched because she got flustered trying get off “this new fangled contraption”. This entry was posted on Tuesday, October 6th, 2009 at 11:01 pm	and is filed under Life in general. You can follow any responses to this entry through the RSS 2.0 feed. You can leave a response, or trackback from your own site.